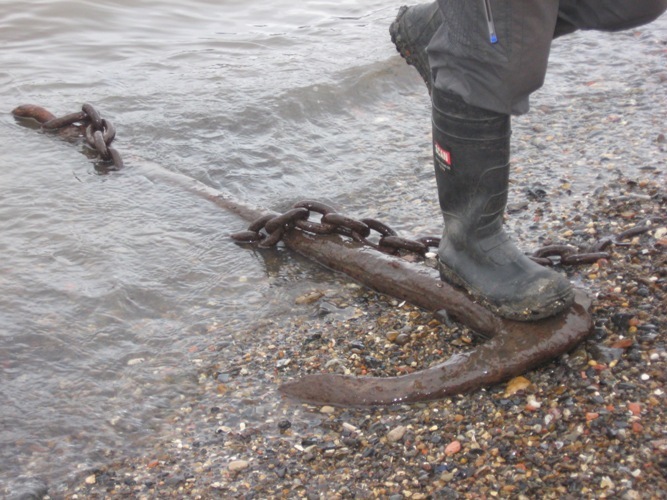 On January 23, Nathalie Cohen, the TDP Team Leader and Cathedral Archaeologist for Southwark, led a walk around Southwark Cathedral, followed by a walk on the foreshore at Bankside with Gustav Milne, the TDP Project Director. Highlights included Gus showing us some prehistoric tree roots, recording an anchor for the Big Anchor Project, and – for me – finding an unusual decorative pipe bowl. 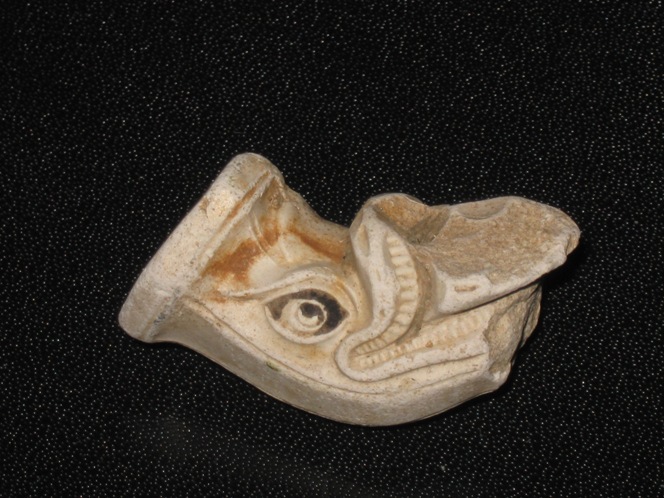 This is a very unusual pipe bowl, with a dolphin or sea monster decoration. 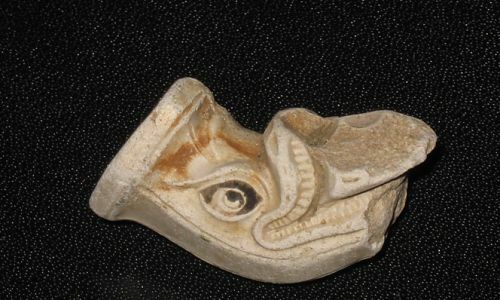 Although I have looked in the Shire publication on Clay Pipes, the nearest I can find is that this might be French. 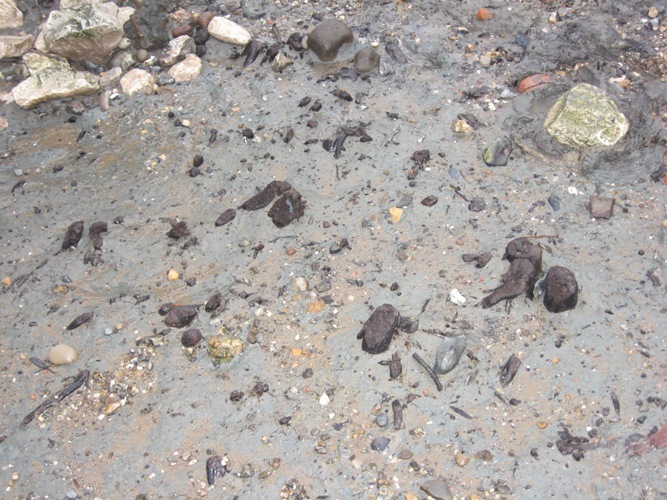 Whilst on site, Gustav showed us some prehistoric tree root systems visible on the foreshore. He explained that the roots were freshly broken due to erosion. I think the point about St Paul’s was how long this site had been in use, and how the environment had changed, as the trees would have been growing on dry land. 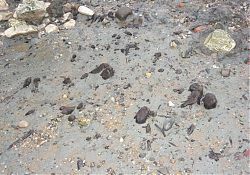 The image above is a close-up of prehistoric tree roots found on the foreshore at Bankside. The foreshore is changing all the time. The group of Thames Discovery Programme guided walkers were looking at the prehistoric tree roots, under Gus’ direction. We were definitely getting a bit chilly by this time! The large image below shows an anchor in the river, which has been modified so that it can be used as a mooring point. One fluke was shoved into the ground but the other one was cut off so that it’s not sticking up in the way.